Continuing my travails with the PEYTONs of Falmouth, in “PEYTONs Along the Aquia,” on page 143, I made a diversion into the parents of John T. ROBERTSON, and apparently I got them wrong. 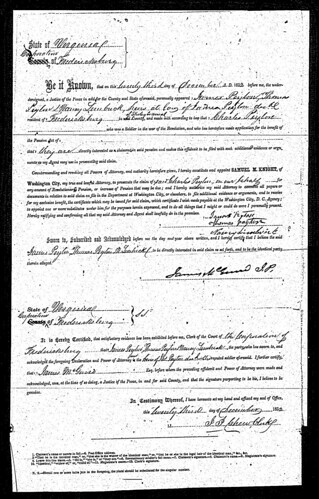 Person #171, Ann PEYTON, does not exist and I know nothing about the parents of person #264, John T. ROBERTSON, who was a PEYTON cousin. Everything points to Elizabeth being the daughter of Thomas and Priscilla Roberson. Nancy Payton Limbrick and her husband were murdered by her cousin, John T. Roberson, per the newspaper account. John T. Roberson was not the son of George Roberson and Anne Peyton, as you have stated, but was the proven son of John Roberson (and Maria Rogers), son of George Roberson and Fenton Jett. George Roberson was the son of Thomas and Priscilla Roberson. John T. Roberson was a cousin to Nancy Payton Limbrick because his grandfather was a brother of Charles Peyton’s wife, Elizabeth Roberson. Anne Peyton, whom you have stated was the wife of George Roberson, was actually the old maiden sister of George Roberson. Anne Roberson died in 1813, per the White Oak Primitive Baptist Church Records, and a story has been passed down regarding her death. On pages 110, 111, of that book I included what details I had found about the two James PEYTONs who fit as a son. The James PEYTON of Culpeper County seemed more likely, however I found that his mother was documented to be Lucy. Therefore, I consider the other option, the James PEYTON who lived in Madison County, to be their “presumptive” son. 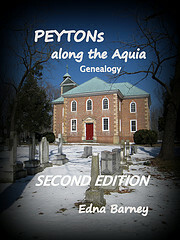 Regarding the Yelverton PEYTON (1735-ante1783) on page 79 of “PEYTONs Along the Aquia,” Peyton researcher Harold Davy has brought to my attention that I had given Yelverton credit for being a soldier of the Revolutionary War. Yelverton has been proven as a DAR Patriot (#A090000) of the war for his service as a member of the Committee of Safety for Stafford County, Virginia, and he performed other service for the war effort, but there is no evidence that he was ever a soldier in that war. Harold Davey wrote that in addition to his service in 1769, as a Justice of Stafford County, he found records of Yelverton PEYTON having served in 1768, 1772-1773, 1776, and 1780. Thank you Harold. 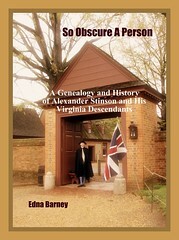 It was another Yelverton PEYTON who was a soldier in Virginia’s Continental Line (see page 138). This Yelverton PEYTON (1755-1849) received a Revolutionary War pension, #S31291 (not #521291).